book: "Chaparral," Richard Falconer and Doug Nye (Contributor), Motorbooks Intl., 1992. 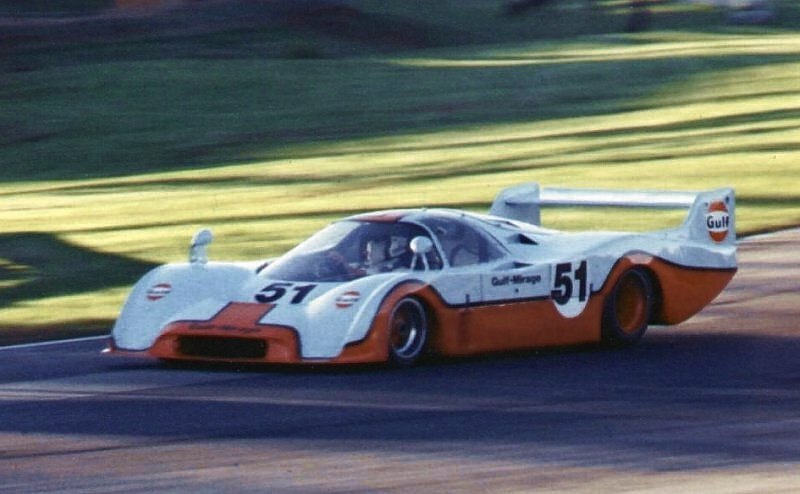 The Chaparral transmission was "actually a two-speed manual gearbox with a high performance lockup torque converter instead of a conventional clutch." 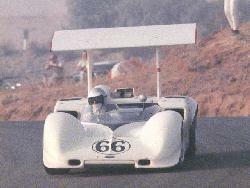 Jim Hall's 2A design was perhaps influenced by the Chevrolet Corvair Monza GT and SS prototypes (1962). However, he was certainly involved in the 1963 era with the Corvette Grand Sport II(b) and the Chevrolet CERV II prototypes. 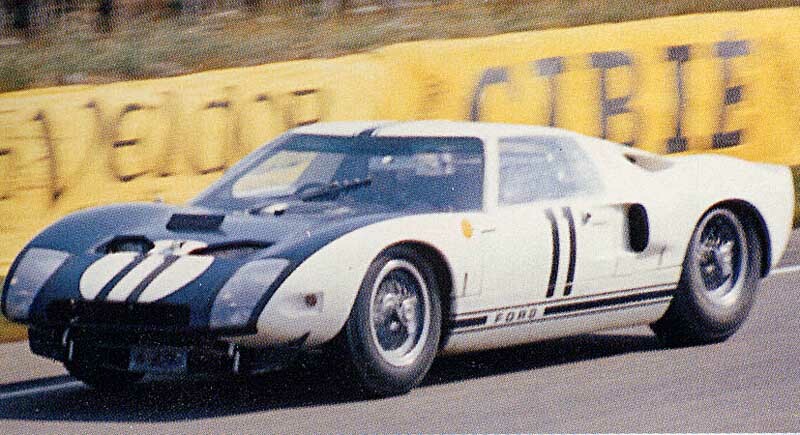 In 1966 Ford GTs finished first, second, and third at Daytona, first and second at Sebring, and first, second, and third at Le Mans. 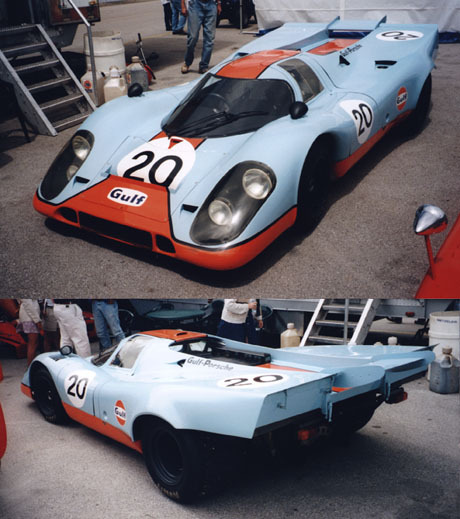 In 1994, Gulf sponsored a Kremer CK8 Spyder, which ran sixth at Le Mans. Then in 1994 and 1995, Gulf sponsored GTC McLaren F1 GTR cars, which ran fourth at Le Mans '95 and fifth at Le Mans '96. book: "The Certain Sound: Thirty Years of Motor Racing," John Wyer, Haynes, 1981 [now out of print]. book: "Blue & Orange: The History of Gulf in Motorsport," Michael Cotton and Martin Allerton, Coterie Press, 2004 [do not have; covers 1937 to 2001]. drivers: Klaus Ludwig, Doc Bundy, Lyn St. James, Scott Pruett, Pete Halsmer, Ari Luyendyk, Tom Gloy, Chip Robinson. See John Krill's excellent site on Can-Am. book: "CAN-AM", Pete Lyons, Motorbooks Intl., 1995. Started by John Bishop in 1969 (with help from Bill France). Bishop started Can-Am and Trans-Am when president of SCCA in 1960s, and is now the commissioner of Grand American Road Racing Association. 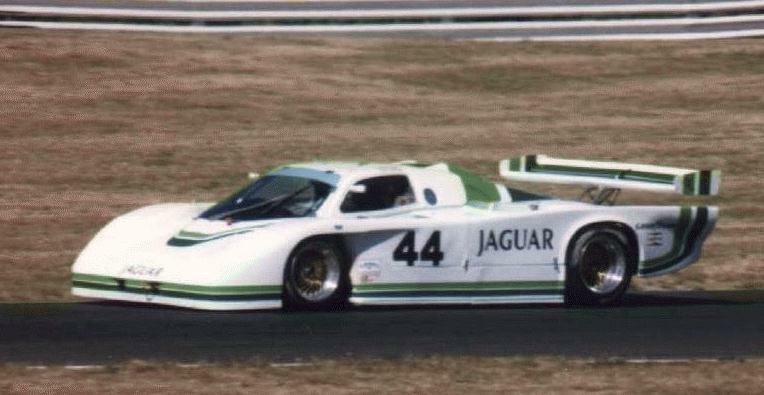 cars: porsche 962s, gtp corvettes, jag xjr-7s, ford probe, nissan gtp, toyota, etc. See also: Preston Lerner, "Flying on the Ground," Automobile, July 2004, pp. 100-103.